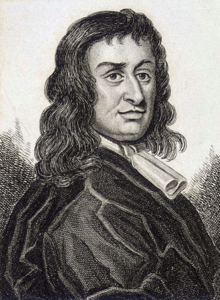 On May 9, 1671, Thomas Blood, who was an Irish adventurer better known as "Captain Blood," was captured for attempting to steal the Crown Jewels from the Tower of London. He had disguised himself as a priest and managed to get up to the Jewel House and past the keeper. The keeper's son showed up unexpected and was able to sound an alarm about the robbery. King Charles was so dazzled with Blood's audacity to steal the Crown Jewels that he made him a member of his court instead of punishing him.